Some people aren’t able to go to a public library for what ever reason, so why not bring library books to them? 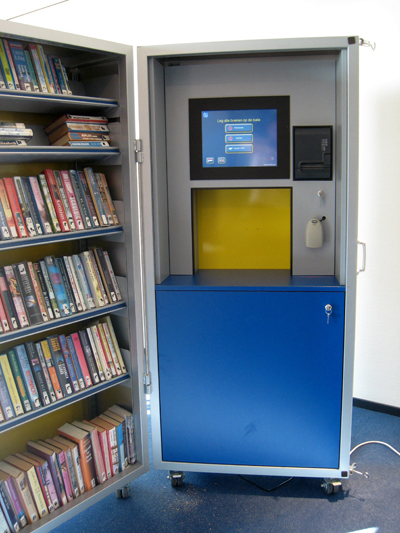 Due to the mobility of this cabinet it is now possible to create a library at any location, such as small schools, community centres, nursing or retirement homes, hospitals, etc. The Lib-Chip mobile library is a compact cabinet with Lib-Chip hard- and software making it a fully self-service unit. Fast delivery and circulation of materials, the smooth and unique bulk processing, all in a compact and sturdy cabinet.